Transfer six (6) prawns out of water and half the sausage slices into the wok. Make a few quick stirs with the spatula until the prawn starts to change color and you smell the aroma of the Chinese sausage. Add half the bean sprouts into the wok. Repeat the same and make another serving of Char Kuey Teow using the remaining ingredients. Please take note of the proper sequence of the cooking process. This is how it’s done by Char Kuey Teow hawkers in Penang, an art that I love watching since I was a child. 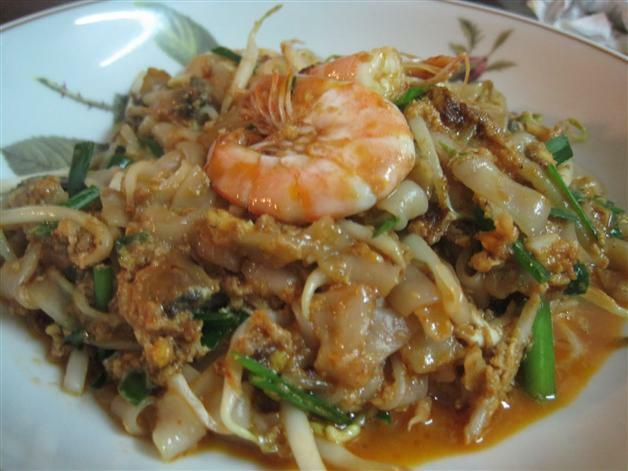 Also, a great plate of authentic Penang Char Kuey Teow should be medium brown in color. It shouldn’t be too dark with too much dark soy sauce.